PT. Alat Ukur Indosurta ( INDOSURTA GROUP ) adalah perusahaan yang bergerak di bidang Sales, Rental, Service Dan Kalibrasi. kami menyediakan alat – alat survey, pemetaan dan geologi. Untuk keperluan : Kontruksi Telekomunikasi Kehutanan Pertambangan Kelautan PT. 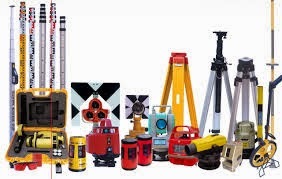 ALAT UKUR INDOSURTA berupaya memberikan konstribusi kepada Masyarakat, Instansi Pemerintah, Swasta dan Perorangan dalam hal penyedia produk – produk Surveying Instrument, Mapping, Geological, Mining, Dan Alat Komunikasi. Before using the FX series, it is necessary to perform　the user registration. Please click here and read the registration manual. * Offered as an option in some areas. ・Windows® CE 6.0 provides a comfortable operating environment. ・Completely new onboard application “MAGNET Field” is installed as standard feature. MAGNET™ is a software family that uses the “cloud” to seamlessly connect data in the field and office. Real-time connections. When you need it. Where you need it. 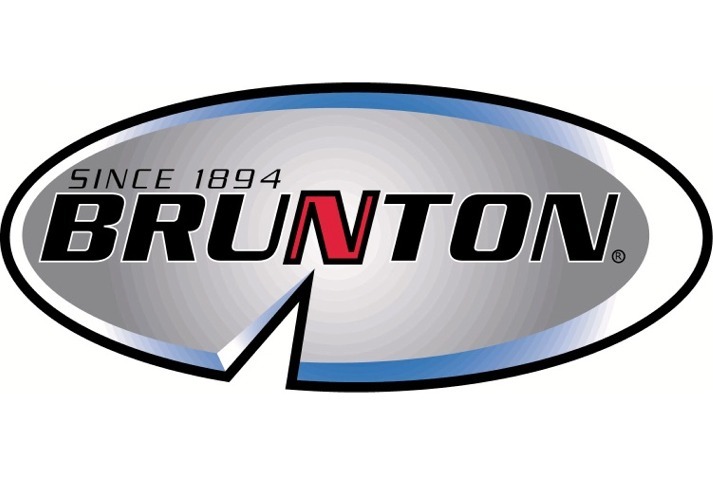 For data exchange, communications, asset tracking and more. ・Fast distance measurement of 0.9s regardless of object. ・SOKKIA traditional pinpoint precision in reflectorless distance measurement. ・Reflectorless operation from 30cm to 500m. ・Coaxial EDM beam and laser-pointer provide fast and accurate aiming. ・Ensures accuracy even with reflective sheets. 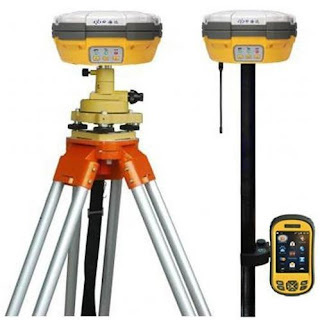 ・The FX series of total stations features Bluetooth® Class1 wireless technology for reliable data communications. ・All FX data is instantly available at the Bluetooth-equipped controller. ・FX features SOKKIA's original absolute encoders that provide long-term reliability in any job site condition. Dual-axis compensator ensures stable measurements even when setup on uneven terrain. ・Sokkia’s traditional motion clamp and tangent screw are employed to ensure stable angle measurement. ・FX-101 and FX-102 feature groundbreaking IACS (Independent Angle Calibration System) technology for extremely reliable angle measurement. ・Uses the same high capacity battery as MDTS and GNSS. ・One battery provides 20 hours of power. ・IP65 dustproof / waterproof rating. ・Metal chassis and heavy duty handle. ・Standard usage temperature range -20 to +60°C. ・New star key [★] instantly brings up functions. ・Trigger key lets you take a series of measurements without taking your eye off the telescope. ・USB type A / mini B as well as serial ports. ・Green / Red telescope guide light enhances work efficiency in a range up to 150m. *1 Low and High temperature models available as options. *2 Face 2 is only touch screen display. Control panel location may vary depending on region or model. 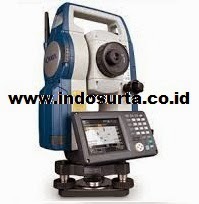 www.indosurtasurabaya.com | Alat Ukur Surabaya Topcon | Alat Ukur Surabaya Topcon Murah | Alat Ukur Surabaya | Alat Survey Surabaya | Jual Alat Ukur di Surabaya | Jual Alat Survey di Surabaya | jual alat survey murah, jual alat ukur murah, alat ukur topcon, alat survey topcon, alat survey surabaya topcon, jual alat ukur surabaya topcon, alat ukur surabaya topcon murah, topcon murah di surabaya, jual alat ukur topcon murah, jual topcon murah, topcon murah, topcon surabaya, jual topcon di surabaya, dealer topcon di surabaya, authorized dealer topcon, authorized dealer topcon indonesia, topcon indonesia, sewa alat ukur, jasa sewa alat survey, sewa alat survey murah, service alat survey, service alat ukur, kalibrasi alat ukur, kalibrasi alat survey di surabaya, Automatic Level , Waterpass.